Please be sure and review our policies! All king and queen-size beds in our suites have pillow-top feather down bedding with Egyptian cotton linens (400-450 thread count). Layers of quilts and down comforters with lots of soft and firm, non-allergenic pillows provide for a comfortable and restful night's sleep. All suites have private bathrooms, flat screen televisions, free wifi, robes, hair dryers, as well as other convenient toiletries. 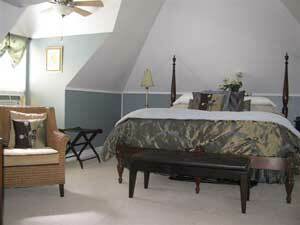 Blackburn Hunt Suite  Spacious, queen bed, private bath, flat panel TV, and adjoining reading room. Dr. Henry Chritzman Suite  Large open cathedral ceiling, king size bed, private bath, access to porch with view of Tuscarora Mountains and Ski Whitetail and flat screen TV. 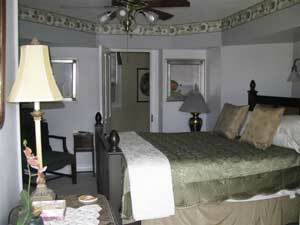 Amy Santora Suite  A smaller suite with balcony, queen bed, and private bathroom with sitting room. 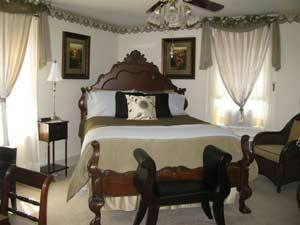 Emma Chritzman Suite  Cozy 1865 room with queen bed, private bath, flat screen tv. 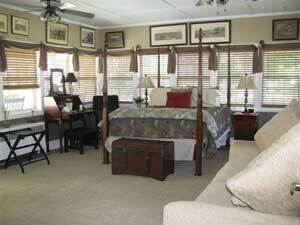 Rates are based upon double occupancy and do not include state or local taxes. A full breakfast is served from 7:00 to 9:00 in the large dining room. Breakfast could include: eggs benedict, poached eggs with asiago cheese, ham, caramel french toast, quiches, omelettes with rolled prosciutto and asparagus, beglian waffles, and egg bakes just to mention a few! Also available upon request are bagels, english muffins, a variety of breads, oatmeal, dry cereals, soy milk, cream cheeses, and assorted jams and apple butter. There is a 6% PA Sales tax and a 3% Franklin County Occupany tax. Each additional person in room, $25 per night. Breakfast is available for non-guests for $10 per additional person. We welcome well-behaved children over the age of twelve. We're sorry, but our Bed & Breakfast does not accomodate pets. Our Bed & Breakfast is a non-smoking facility. After January 1, 2015 we will not be accepting credit cards. Payment must be made with cash or check only. We will accept reservations up to twelve months in advance and are open all year long. Cancellations will be accepted up to 72 hours in advance with no fee charged. If room is not filled, charges will be applied to cancellations made within 72 hours. "No-shows" will be charged in full. Holiday and special events require a two-night minimum stay. Website designed and maintained by Mercersburg Printing.